For the detailed steps of the Installation/Migration we created the “SAP First Guidance Collection“ to answer questions, issues and shows workarounds, in addition to the standard guides and SAP notes.These Guidance documents has no claim of completeness and it is the most complete starting point for a successful BW implementation. It is possible to install the ABAP and BI-JAVA CI as well on the HANA Appliance! Important! – apply the manual steps of the Notes before applying BC 7.57 SP15 or higher! I don’t think this really matters, the key message is to have an entry to ensure the correct behaviour. I changed the oder of the entries in the document and added the Note for Red Hat. It matters in suse for Hana, because while resolving “hostname -f” is does not resolve to FQDN. It resolves to shortname. This explains it, thank you for the Tipp. Do you think, you can help me out with this one ? Right now we are on a SAP BI 7.02 SP10 System and we are upgrading and migrating to ​BW 7.5 on latest SPS, the new development system about to come in a week. Hence We need a post migration check list for BW activities, can someone please share that and it would be helpful. Do you know, is there any separate process for converting BW Non Cumulative (Inventory) Info Cubes into HANA Optimized Info cubes? I know the Standard cubes conversion process, which is very straight forward. No, there is no special consideration. Great work, thank you !!! i guess we did not set ‘Set FQDN for SAP system’ checked cause this error. In the doc. 1.2.4 FQDN must be provided. do the bw server and hana server should have the same domian name ? Of course it is suitable that both server’s in the same domain. nice to see that you still work for SAP in this area (BW). Is there any specific document for the latest? Can we use some task list (STC01) for basic configurations steps? 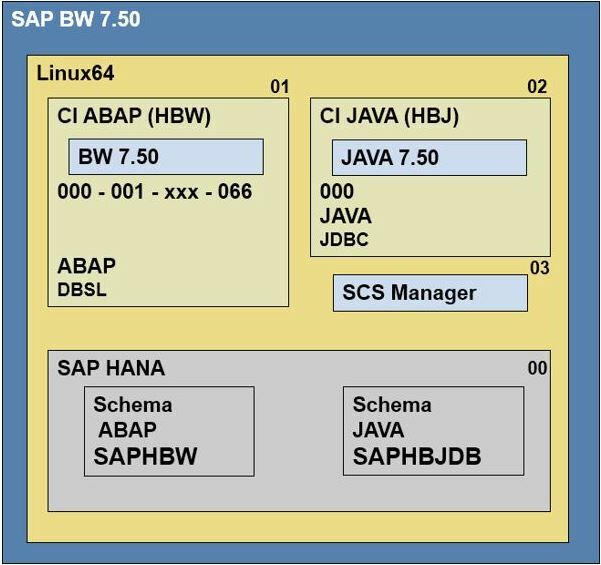 I have installed the BW 7.5 on HANA and updated the SP to the latest available. Now I would like to run the configuration Wizard for ABAP stack. Can you please guide me how to do it? we plan to install a complete new BW 7.50. Actually we have a very old SAP BW installation running with SAP BW Integrated Planning for planning applications. Is it possible to install BW 7.50 with only the ABAP stack? We want to run BW with BEx Analyzer and BW Integrated Planning? Or is it necessary to install the JAVA BI stack additionally.